The 6ix Manhattan cocktail combines Drake’s new Virginia Black whiskey with a classic Manhattan. When we heard that Canada’s beloved superstar Drake had launched a new Bourbon style whiskey, we had to try it. Described as “decadence redefined,” the whiskey doesn’t disappoint. 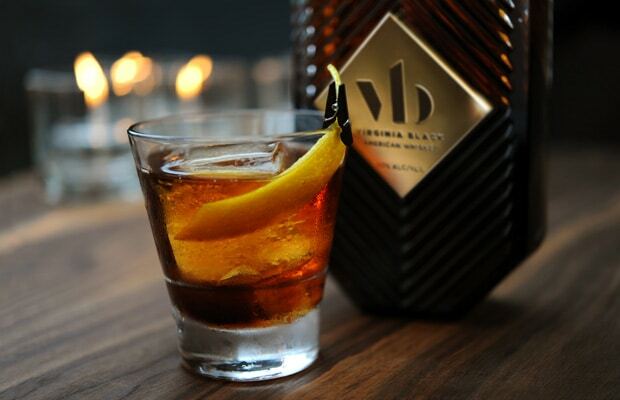 A combination of three and four-year old bourbons, Virginia Black is rich and robust, and as smooth as Drake’s lyrics. This is a world class whiskey that has the potential to bring many new imbibers into the whiskey drinker club. The 6ix Manhattan pairs Virginia Black with the top Italian sweet vermouth in the world, Carpano Antica Formula. The buttery sweet vanilla notes of Virginia Black are a natural marriage of flavours with the rich dried fruit and mountain herb flavour of Antica Formula. What was once old is new again with this decadent take on a Manhattan. Immerse yourself in the glamour of this cocktail and taste the cocktail version of Canadian swagger. By Kris Jensen, Bar Operations Manager.